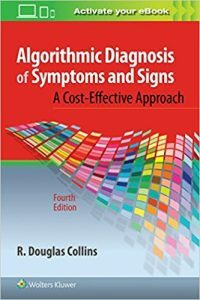 Designed for quick reference, Algorithmic Diagnosis of Symptoms and Signs: A Cost-Effective Approach equips you to effectively interpret more than 230 of the most common symptoms and signs. The ideal aid for the busy clinician, this handy, portable resource promotes a cost-effective patient workup, explaining which diagnostic tests are most appropriate (and when such tests are not indicated). Comprehensive updates throughout put the very latest diagnostic approaches at your fingertips. Evaluate patients efficiently using clear, step-by-step algorithms that spell out what to look for, what tests to order, what differentials to consider, and when to refer to a specialist. 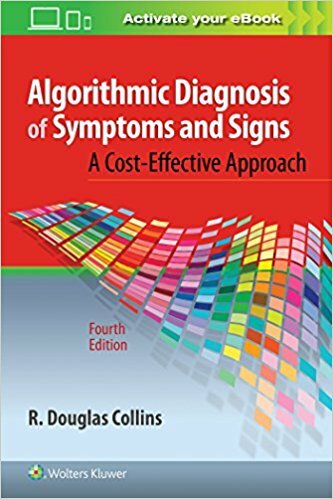 Effectively evaluate more conditions through new algorithms for various symptoms and laboratory tests, including algorithms representing diseases that are symptoms of other diseases. Recognize diagnostic alternatives at a glance thanks to differential diagnostic tables.